Many of you in the community mentioned that a big change in your life has been mapping out the bathrooms wherever you go to ensure you know where to go if the moment strikes. Another approach that can help alleviate the stress of finding a restroom when you need it is the “Can’t Wait” card, based on the Restroom Access Act that passed in 2005. Read more here. One of the hardest parts of managing IBS is its lack of predictability – sometimes you can do everything “right” and a flare up will still come out of nowhere. In preparation of this, many of you described having an emergency pack with you at all times, including a change of clothes, baby wipes, etc. Another suggestion from this article written by Emily Downward is to keep a list of all the strategies/techniques/items that have helped you with a flare up in the past. These things could include peppermint tea, gentle exercise, heating pad, etc. “The last 2 days I have been horrible – constant diarrhea and horrible stomach cramps, bloating, and just ukky. But I keep remembering prior to this I really had 2 good weeks. I know I’ll get good again – just have to hold on and wait. It can be especially frustrating when you feel you’ve tried everything and the only thing left is to simply wait and hope for relief. Waiting can be infuriating. 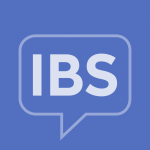 In fact, our 2017 IBS In America survey revealed that 62% of respondents felt frustrated that they might never find a way to manage their symptoms.